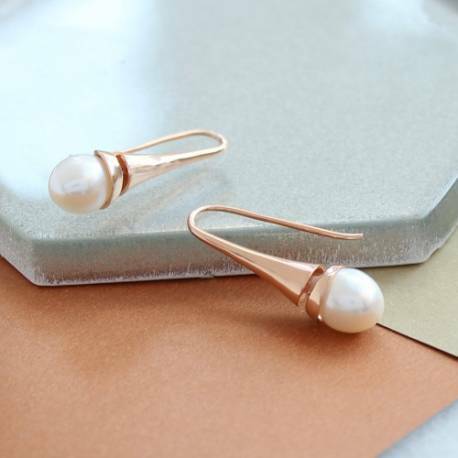 Featuring a cultured freshwater pearl in a modern drop-style setting, these contemporary pearl gold, rose gold or sterling silver earrings add a truly chic touch to any outfit. 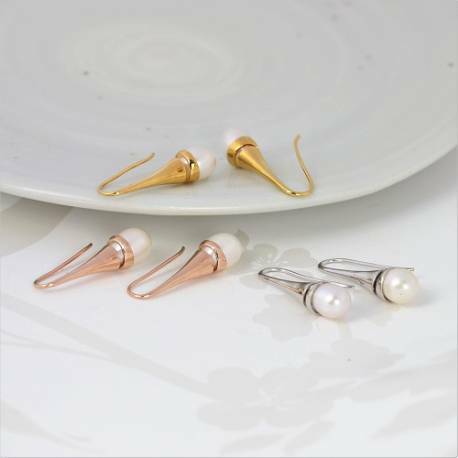 Subtle enough for day-time wear, their classic elegance is also perfect to finish off your evening outfit. 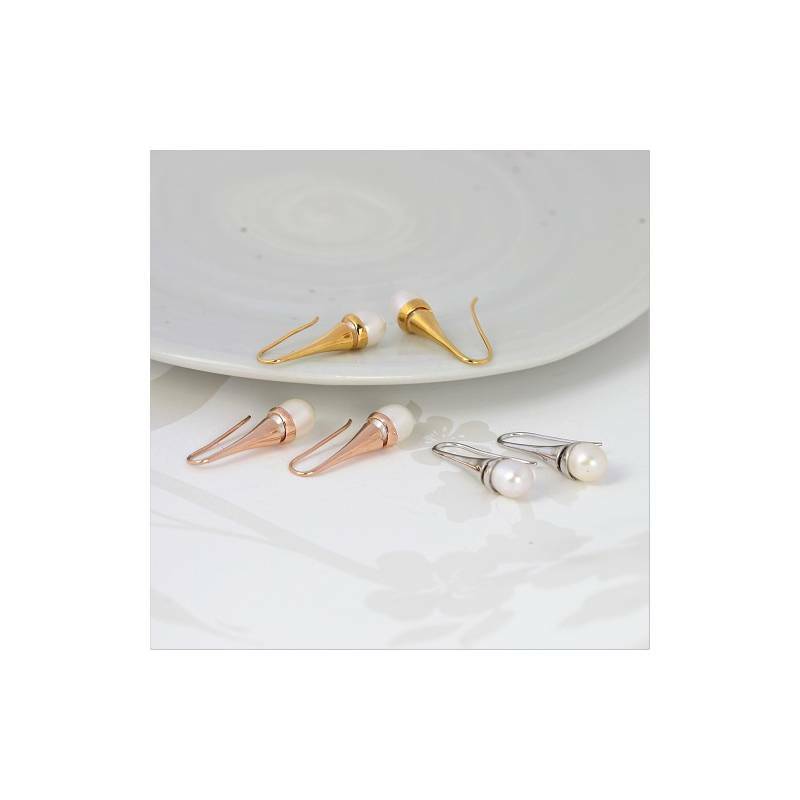 Pearls have also long been symbols of love and fidelity, so these earrings would be perfect for the modern bride’s wedding jewellery.